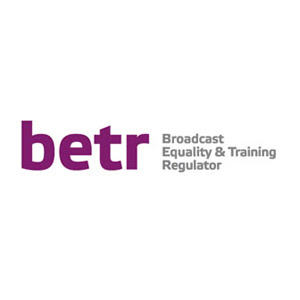 The regulatory body for training and equal opportunities in broadcasting has added a gay rights campaigner to its board. Craig Jones MBE, who worked to help integrate lesbian and gay soldiers in the military, has joined BETR as a board member. The body was set up in 2005 to regulate training and skills in the industry. As of this year, Ofcom has handed it responsibility for equal opportunities. It aims to work with broadcasters to encourage staff diversity, although evaluation of companies will not begin until next year. Mr Jones is currently head of diversity at Barclays Wealth and was awarded an MBE for services to equality and human rights in 2006. He served in the Royal Navy for 20 years and has been working with the US Congress and military figures towards repealing the US ban on out gay soldiers. He said: “It’s really exciting to be able to play a part in helping such a high profile industry to raise its game in terms of diversity. "Broadcasters are the public face of the nation and it is therefore doubly important that the playing field in broadcasting is levelled, to ensure that the industry better reflects the UK’s diverse population." Also joining BETR's ten-strong board will be Enid Rowlands, who has held a number of board positions in the public, private and voluntary sectors. BETR executive director Peter Block said: "To have such expert levels of support from Craig, Enid and our other independent members in this exciting period of our development is crucial and I look forward to the additional contribution they will make in enabling us to meet the challenges and opportunities of the future.